The latest generation Mazda6 has been on sale in Ireland since 2013 and has recently been face lifted. Carzone spent a week driving the new model to see how it has evolved. 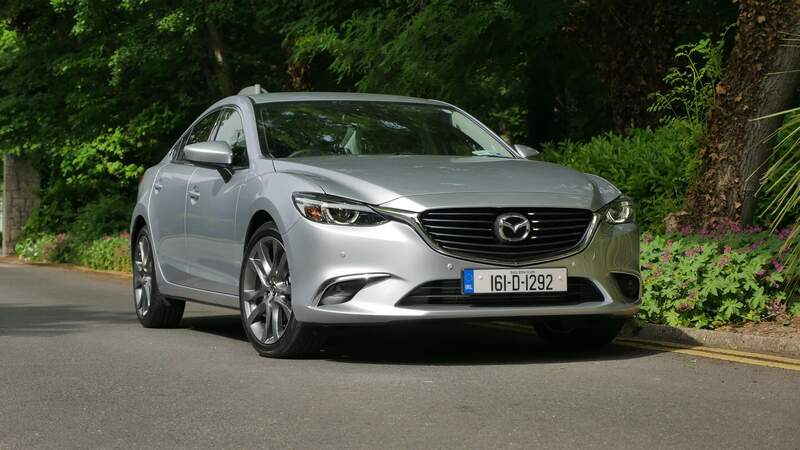 The latest generation Mazda6 has been on sale in Ireland since 2013 and is a firm favourite with buyers seeking an alternative to family-sized saloons such as the Ford Mondeo and Volkswagen Passat. In effort to keep up with the competition, Mazda has recently facelifted the 6 making it more comfortable and refined than ever before. Carzone spent a week driving the new 2016 model to see how it's evolved over time. The Mazda6 has always been one of the best looking cars in the large saloon segment, so only slight tweaks have been made to the exterior; most notably a reshaped grille, daytime running lights and new LED headlights which are excellent for nighttime driving. The bulk of changes have been made underneath the surface however, with ride quality improved and some very welcome changes to the interior and model specification. Our test car is fitted with the most popular engine in the range, Mazda’s 2.2-litre diesel unit, which produces 147bhp and 380 Nm of torque. Performance is strong and it can cover 0-100km/h in under 9 seconds, but it really shines out on the motorway and at higher speeds, overtaking with ease. With a mixture of motorway mileage and city-based commuting, we found this engine to be very frugal, easily returning 6.5-litres per 100km thanks to the six speed transmission and Mazda’s i-Stop start/stop system. Irish buyers will love that the car's low €190 annual road tax rating as it ranks low for Co2 emmisions. Mazda also offers an 2.0-litre petrol engine and more powerful 174bhp version of the 2.2-litre diesel option, but we would forgo this in favour of the more economical version that we tested. Stepping inside the cabin, the keyless entry system is one of the most intuitive systems we’ve come across, removing the need to fumble around for keys in your pocket or bag. The interior is well-finished and the plastics are solid to touch, with aluminium-style inserts on the door panels and dash. Mazda’s entertainment system is well presented with an easy-to-read display, while the speed you are driving at is projected onto a small transparent plastic screen located over the steering wheel. Another nice feature is the integration of the rear reversing camera and how it displays lines you should follow when reversing into tight areas. The centre armrest area is nicely laid out with plenty of storage space for coffee cups, useful USB charge points for connecting your smartphone and an SD card reader which connects to the main display. This ‘Platinum’ model is one of the highest specification models in the range and features electrically-adjustable seats finished in black leather upholstery, offering a very supportive driving position. We did a lot of varied driving on the motorway, backroads and small country roads around Galway with several passengers in tow and found it to be very comfortable, particularly with the dual zone climate control enabled.The Mazda6 handles rather well for such a big car, and it feels quite nimble from the driver’s seat. There was plenty of head and leg room to comfortably seat four adults, while the boot at 489 litres in size was big enough to accommodate most of our luggage. A small drawback for the driver is that the main control for the stereo system is located behind the gearstick and tends to get in the way when you are changing gears at times, although you do get used to this after spending some time with the car. This model was also equipped with a full Bose audio system, a must-have extra for music lovers! If you are looking for a well-specced professional saloon for business use, which is also suited to the demands of daily family life, you will be glad to know that the Mazda6 covers both bases exceptionally well. Although it is priced slightly higher than rivals such as the new Mondeo and Passat, the Mazda6 continues to stand apart from the competition for 2016.